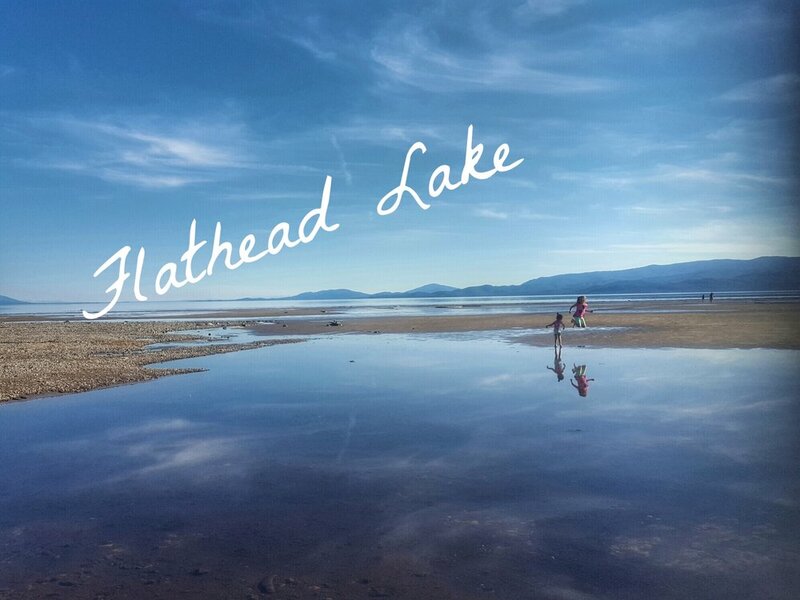 The Flathead and surrounding valleys offer more than a lifetime's worth of recreation, fun and adventure! Flathead Lake, the largest freshwater lake west of the Mississippi, is a jaw dropping sight. Whether spending time on the shore or out on the open water, time on Flathead Lake is perfect way to spend a warm day. Numerous other navigable lakes in the area are great for boating, paddling and swimming. Try out Swan Lake for great skiing or spring fed Echo Lake for warm swimming water. Let the folks at BaseCamp Bigfork get you the gear and the knowledge to navigate the area's prime paddling waters! They can also get you set up on a couple mountain bikes if you want to check out the area trail riding. The Flathead National forest has 2,249 miles of trails that access mountain lakes, peaks, valleys, and wind along river bottoms. Included in that is the 15,349 acres and 27 crystal clear lakes in the Jewel Basin Hiking Area. Hiking access to the Mission and Swan Mountains is just out the door of the hotel. There are many day hikes for all skill levels, easily accessible from Woods Bay. Hiking maps and trails conditions are available at the Swan Lake District Ranger Station (200 Ranger Station Road - Bigfork) or click here for quick links to all your local outdoor adventure! The village of Bigfork was founded near the turn of the 20th century and has long been an ideal vacation spot for locals and faraway travelers. Bigfork is situated between where the Swan River and Flathead River empty into Flathead Lake; outdoor and water recreation opportunities literally surround this charming village. The main street of Bigfork has a variety of shops, including galleries, gourmet kitchen supplier, souvenir shops and clothing stores. There are also coffee roasters, cafes, fine dining restaurants, and bakeries. The main street, Electric Avenue, is also home to the Bigfork Center for the Performing Arts, which houses the nationally acclaimed repertory theater, Bigfork Summer Playhouse, as well as numerous movies, concerts, plays and other special events year round. Please feel free to email with any questions about what our beautiful home has to offer. Visit the Bigfork Area Chamber of Commerce website pages to learn more about the area businesses, places to eat and things to do. Less than an hour's drive from the hotel takes you to "The Crown of the Continent". Drive the incredible Going to the Sun Road, stop in to one of the vistior's centers and learn about the geography of Glacier or the people who first inhabited this land, the Blackfeet, Salish, Pend d'Oreille, and Kootnei tribes or get off the beaten path and head out in to the backcountry for a hike or overnight camp. National Bison Range - President Theodore Roosevelt established the National Bison Range in 1908. It was the first time Congress approprated tax dollars to buy land specifically to conserve wildlife. The bison range maintains a representative herd of bison ensuring the preservation of the species for continued public enjoyment. In addition to herds of bison, it supports populations of elk, mule deer, whitetail deer, pronghorn and bighorn sheep as well as mountain lions, coyotes, bears, bobcat and over 200 species of birds.